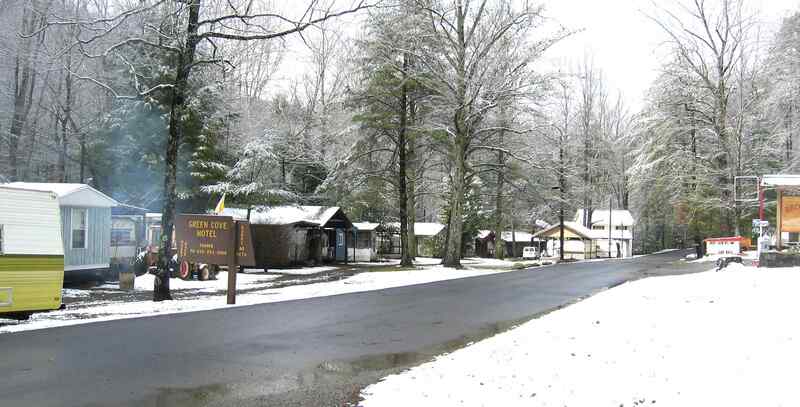 This is the Green Cove Settlement, about 17 miles up the Tellico River from the city. 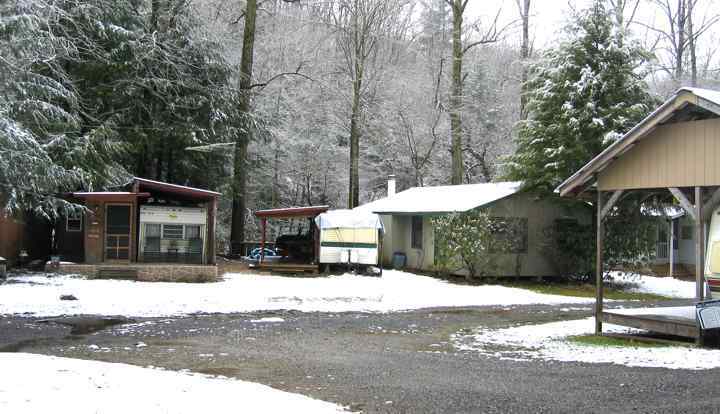 This settlement consists of a couple of RV parks, a gas station, a couple of stores and several houses and cabins. 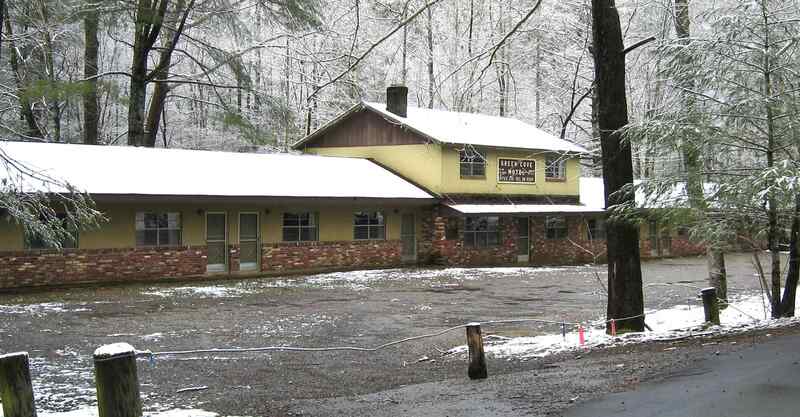 This is where my cabin is located. I took these photos on a beautiful winter day. The RV parks generally aren't suitable for the larger rigs. All are back-in. The maneuvering room is tight. There are a few places to park larger rigs on up the river but none have any hookups. This is a very nice place to spend a weekend or three. Lots of nice people around. Another view of the Green Cove RV park. The porch to the background right is approximately where we parked our pickup camper back in the late 60s. 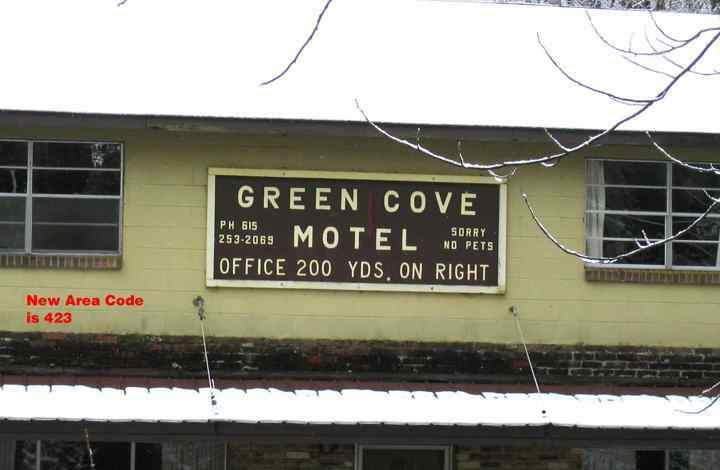 Green Cove Store. This is where you rent an RV space or a motel room. 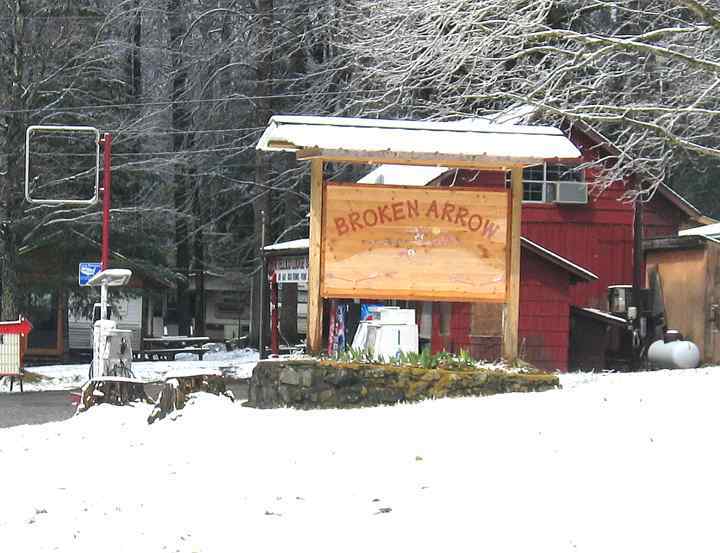 Broken Arrow RV park, the other RV park in the area. 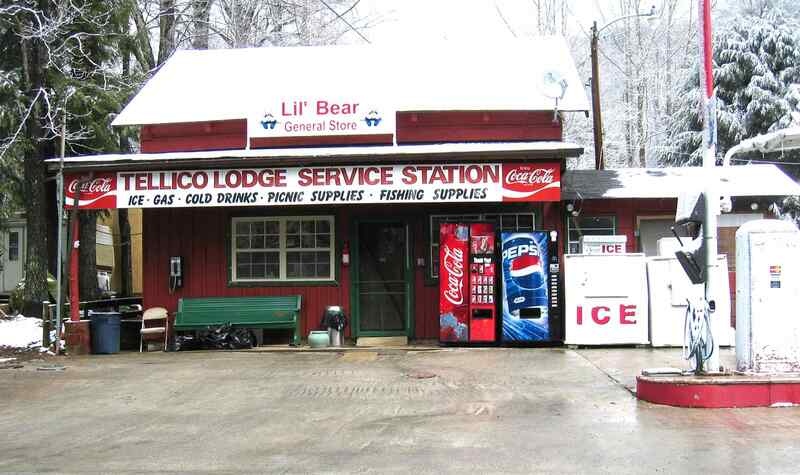 Lil Bear General Store and gas station.